I am so impressed by the work Kate has done with my aging horse. When I pulled his shoes in August, I was worried he was on his way to early retirement. He is now happy, healthy, and comfortable thanks to Kate’s healing hands. I am also so grateful that I had the opportunity to learn about my horse from the inside out! It was fascinating to see how everything that makes my horse unique is connected. I would absolutely recommend acupressure as a tool to promote healing and a stronger relationship with your horse! So far Kate has worked on both my personal horses, and a couple of rescues at the Sanctuary that I manage. Her calmness and understanding of the innate nature of the animals sets them at ease. Once she begins to do her work, they are in a peaceful, accepting and trusting state. I have experienced beautiful results of her work with rescues that have come from quite dark and troubling pasts, transforming into the serene beings that they innately are. Kate's knowledge, understanding and dedication to her work is highly respectable. I have and will continue to both request her services, as well as refer others to her. Thank you Kate, it has been a pleasure meeting you and watching you work. Your heart is so big. My horse and I had the privilege of meeting the very gifted Kate Scarlott of Windhorse Acupressure. We are beyond excited to have her on Sam's wellness team. He responded beautifully to the work. Kate makes an amazing connection with animals. Thanks so much, Kate! Sam loves you and we look forward to continuing to work with you! Kate has been working with my 3 horses for several months. Their needs are complicated and Kate has demonstrated both her knowledge and patience in her work. She is a thoughtful listener, observant and responsive. Her calmly confident demeanor has been the perfect approach for my mares. I am very pleased with the improvements in their well being. My mare has shown more positive changes in the first weeks of acupressure than she has shown in ten years of trying to get through to her. Her health has improved markedly, though I had always thought of her as healthy. Even her farrier noted she had always seemed bloated to him and looked healthier. Her new calmness is just amazing. Within 10 minutes of our first session, my mare totally relaxed with Kate. She didn’t seem to feel the need to see what “buttons” she could push with Kate, either. She usually enjoys provoking reactions with people. I cannot believe the difference this is making in our relationship. She greets me at the gate, nickering every a.m. now (and that’s having taken away all grain!) And her halter ties on with 3 inches to spare, where it’d been difficult to even tie. Kate is a true ambassador for the horse. Her genuine caring nature, amazing knowledge for the whole horse’s well-being, combined with an unequaled passion to help any and all horses, is rarely seen in our fast-paced world today. She is also very well organized, is exceptionally articulate, speaks in simple to understand terms and listens to all you can share about your animal so that she may help them in the best manner possible. My mare improved tremendously and has remained a much more calm, less apprehensive, less worried being. Kate clearly unlocked the horse that was within and had been trying to come out all along. What a gift it was when Kate came into our lives. Our Morgan mares now seem to look forward to her visits and respond well to her work. Kate's approach to our animals is insightful, creative and deeply personal. Kate Scarlott traveled to my farm in California twice during 2014 to attend my six-day Equine Acupressure Level One class and the six-day Level Two class. It was apparent during her time at the farm that Kate deeply loves horses and they respond happily to her hands-on work. 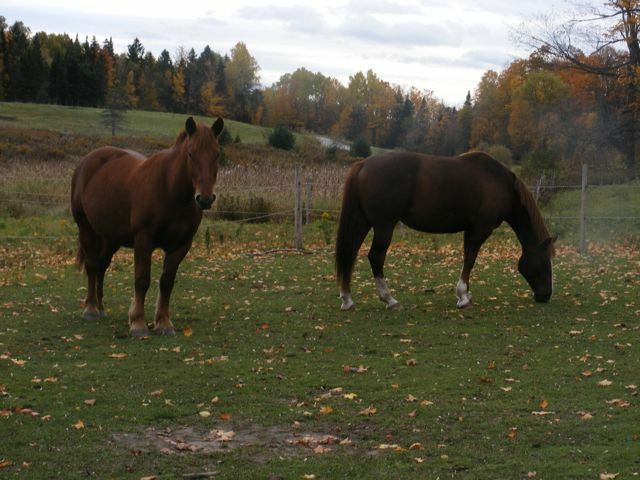 Kate developed her ability to sense qi energy through the study of Reiki and other healing arts before her study of equine acupressure methods here at my farm. This ability allowed her to quickly learn and become very good at applying the acupressure methods I teach here in my classes. Following the courses, she successfully completed the extensive written tests and horse case reports necessary to finish the externship requirements for both classes, which is not an easy feat. The combination of true love for horses and documented study and practice give Kate a good foundation in equine acupressure that she can bring to you and your horses. My dog was quite remarkable for the whole day after Kate's treatment. His eyes were shining and he just seemed really open and luminous-- it is difficult to describe, but it was as though his soul was right there on the surface, so beautiful! He still seems very bright and contented, and his shift was dramatic. Last fall, I asked Kate to help with my other dog, who is not very grounded and will see a goal and fall over herself to get there. After one session, she seems really good to me, more centered and contented. I gave her a kiss on her head today, and she gave me a kiss back, which she's never done before." My veterinarian recommended Kate to perform acupressure on my mare after she had sustained a serious shoulder injury. Kate arrived at our farm, asked several questions about my mare's life history and current injury, and then went to work on her. She and my mare connected right away and I saw a profound difference in her after the first visit. Kate also showed me acupressure points to work on until the next visit. Each subsequent visit my mare's response was very positive in terms of acceptance of Kate's technique and of continuing to heal from her deep tissue injury. Kate has worked on each of my five horses. All have/had very different issues, and most of them have been very longstanding and were never resolved or even recognized by other practitioners. At first, I was quite skeptical as to how much acupressure might actually be of benefit, but after the first 2 or 3 sessions, I was very amazed to see the change on many different levels, mental, emotional and physical. And not only is the work very helpful for the horses, they enjoy them thoroughly and they have become even more of a pleasure to be with. Her work is gentle and non-invasive, but deeply effective. I have seen profound changes in my horses. Kate is wonderful to work with. Her love of horses runs deep and is reflected in her caring work. Kate helped one of our geldings and our mare to recover from an attack of laminitis and helped them through a very stressful move. She taught me a few acupressure points as well, which I use often! It’s amazing how directly and profoundly the work that Kate does can tap into a horse’s energy and psychology. I’d recommend Kate to anyone who wants to activate their horse’s well-being at a deeper level and also for those who want to learn to be more connected and in tune with their horse. Kate has helped our three horses (all in their 20’s) with her kind, gentle, and effective touch. While one of our mares was failing, Kate’s work eased her pain and stress so much that she had some weeks either being free of pain or nearly so. Kate also works with our other mare and our stallion. The change in our mare’s behavior has been dramatic. She has gone from being anxious around strangers, at times nippy and moving away from touch, to being more settled and calm. During Kate’s work, she will yawn, stretch, and go into a state of deep relaxation, though clearly she is not asleep. We have asked Kate to provide care to our horses, who are elderly but very healthy, to support and sustain their well being. In the process, Kate has shared her knowledge, demonstrating simple holds that we can do between her visits. This is a wonderful way to spend time with our horses. Kate came out to my house to meet with my horse and I. She spent a great deal of time talking with me and learning about Maverick before she even laid hands on him. This was so great because it was obvious that she was really trying to get to know him. Once his session started he was so relaxed and Kate worked wonders with him. She really has a magical touch. I can already see a difference and so can my husband. We cannot wait till our next session! I would highly recommend Kate to anyone even slightly interested in acupressure as she is so informative, professional, and talented.